After a grueling kickboxing class last night that included sets of alternating squats and push-ups, the Green Girl decided to hit Downtown Long Beach for a short run. When compared to the surrounding area, Long Beach has a fairly extensive public transportation system. I find the Long Beach Transit very convenient for navigating the city. Connections to the LA Metro can be made at the Downtown transit station. I also love that the City of Long Beach has launched Car-Free Fridays this summer to encourage community members to ride a bicycle or use another form of alternative transportation. It was relatively quiet Downtown so I pretty much had the sidewalks to myself. 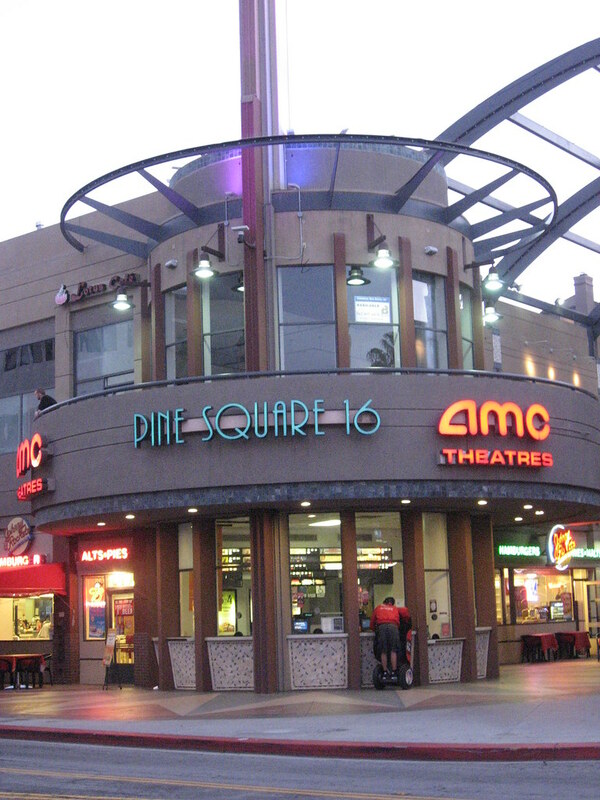 I ran past the AMC Pine Square 16 theatres. Businesses have come and gone but a few remain and the AMC is one of them. 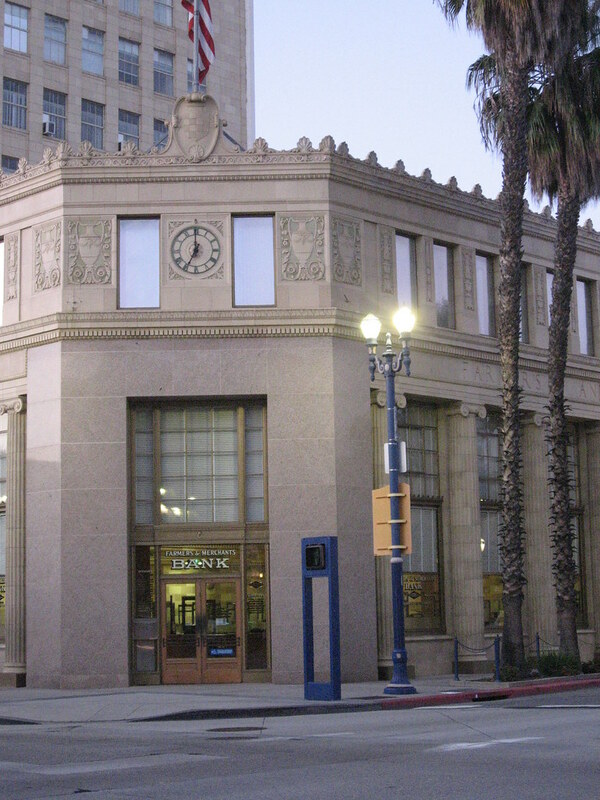 I went by one of Long Beach's historical landmarks, the Farmers & Merchants Bank (F&M) tower. In 1907, the Farmers & Merchants Bank was established by C.J. Walker and his wife. The bank remained in the Walker family for three generations. The expansion of the bank with the construction of the Farmers and Merchants office tower took place in 1923. Architecturally, the building is an example of Italian Renaissance Revival classicism with detailed terra cotta cladding. 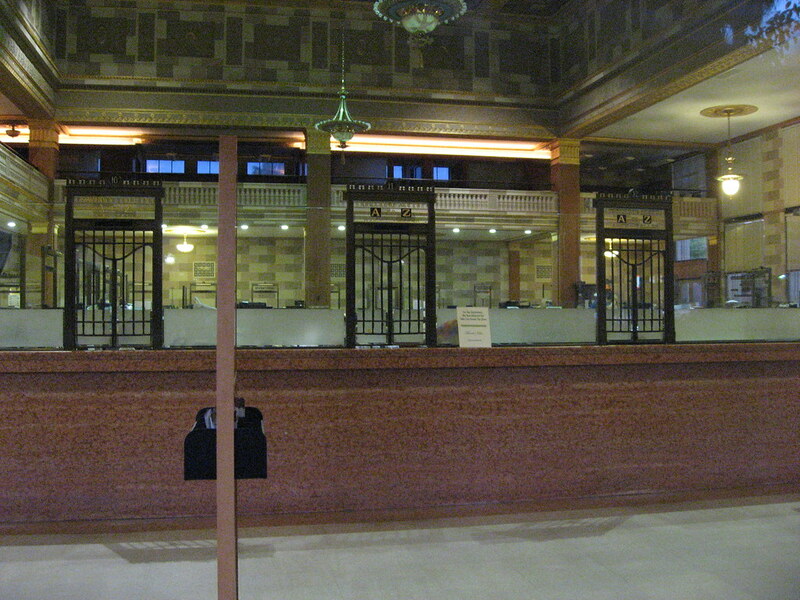 The first floor features the teller station counters with the original metal wickets. The bank entrance features red Italian marble entrance with brass-plated double doors. Inside, the floor is made of pink marble and there are marble benches for customers. 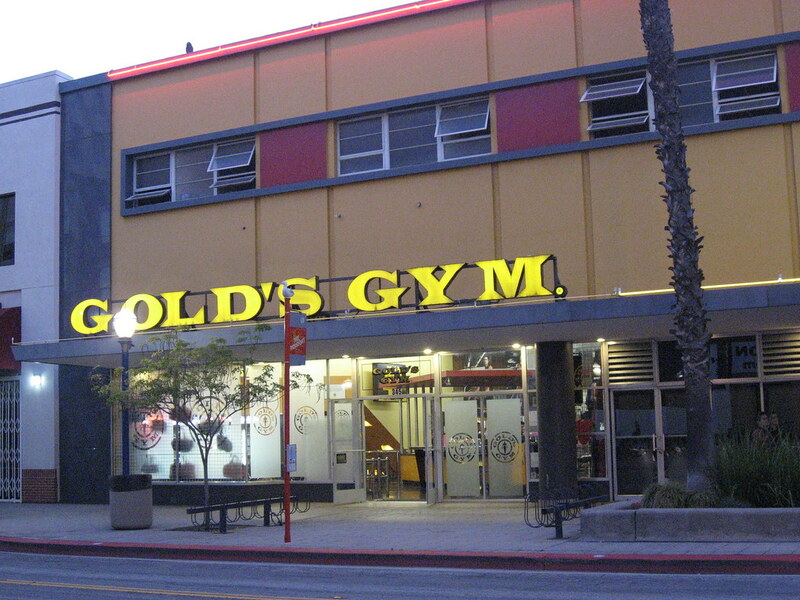 After pausing to admire the F&M building, I continued south on Pine St.
On my way back, I went by Gold's Gym. I was a little bit discouraged when I measured my acidity last night and it was 5.0 pH. I allowed myself to sleep in this morning and I'll take it easy today since I'll be running tomorrow. Wow! I love how you always have the facts girl! Great pics! Sounds like you were busy last night!!! The city fathers have done a *tremendous* job recasting Downtown. When I was growing up in the 60's it was nice. The main attraction was the Pike, an amusement park, roughly where Rainbow Harbor is today. When the Navy left in the 70's, Downtown turned into an armpit. An unshaven one. High crime, drugs, alcohol, homelessness, etc. For a time it was downright dangerous to be in Downtown. Niceto see it reborn. Sounds like a fun run, and more than just a run.